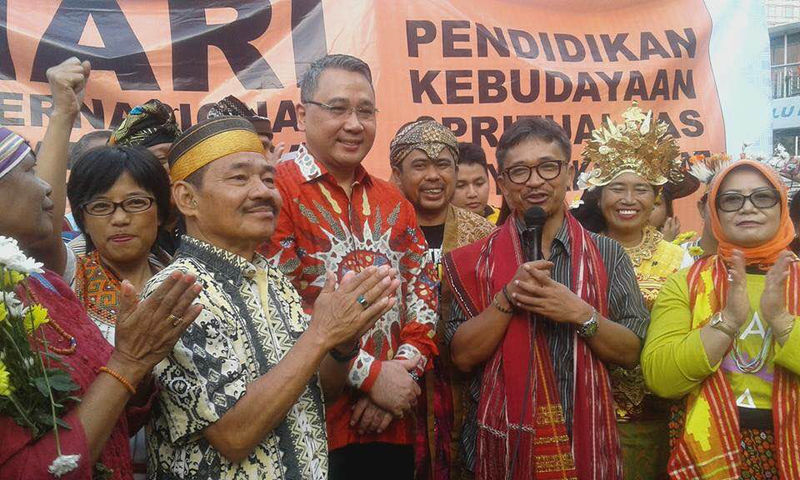 The Alliance of Indigenous Peoples of the Archipelago (AMAN) is an independent community organization with a vision to realize a just and prosperous life for all Indigenous Peoples in Indonesia. AMAN works locally, nationally and internationally to represent and advocate for Indigenous Peoples issues. With about 17 million members from more than 2,300 indigenous communities throughout Indonesia, AMAN supports indigenous people to have sovereignty over land and natural wealth, socio-cultural life governed by customary law, and customary institutions that maintain the sustainability of their lives as indigenous communities. In 2015, AMAN was awarded the prestigious Elinor Ostrom Award, created to honor and develop the legacy of Elinor Ostrom, a political economist who believed in how peace and justice and equality is created and sustained by the commons movement. AMAN has a special commitment to the empowerment of Indigenous women and youth.